MAPS & DIRECTIONS – Rawhide…Your Way! 5244 N. 48th Street, Chandler, AZ 85226. 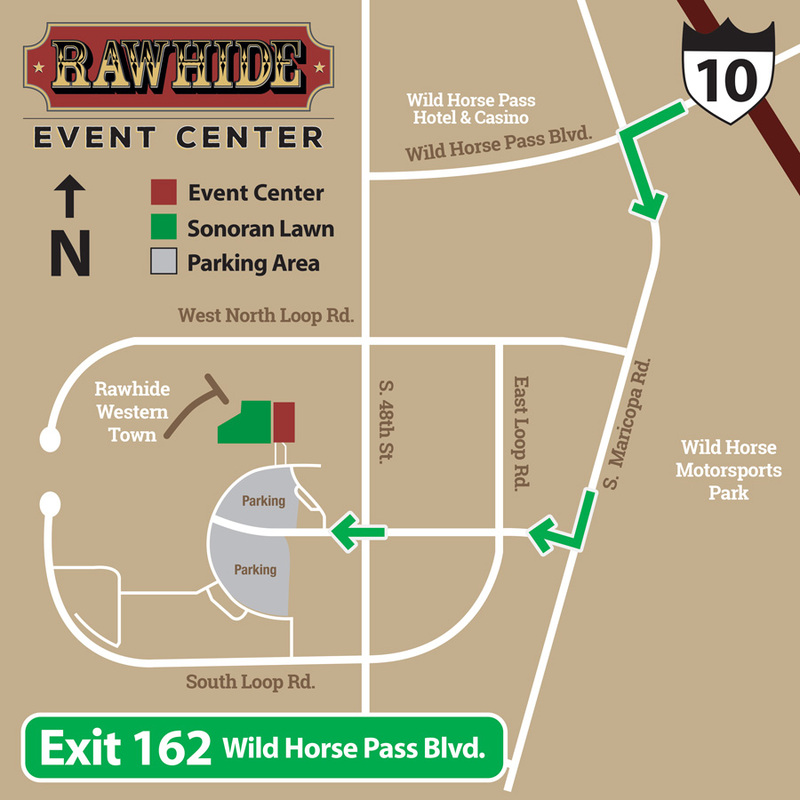 RAWHIDE WESTERN TOWN AND EVENT CENTER is located off I-10 in Chandler, Arizona on the Gila River Indian Community. From the North and West – Take I-10 east to exit 162 Wild Horse Pass (formerly Maricopa Road). Turn right (west) on Wild Horse Pass Boulevard to 48th Street. Turn left (south) onto 48th Street. Turn right (west) on North Loop Road (there are signs directing you to Rawhide from here). Follow North Loop Road to the parking lot.